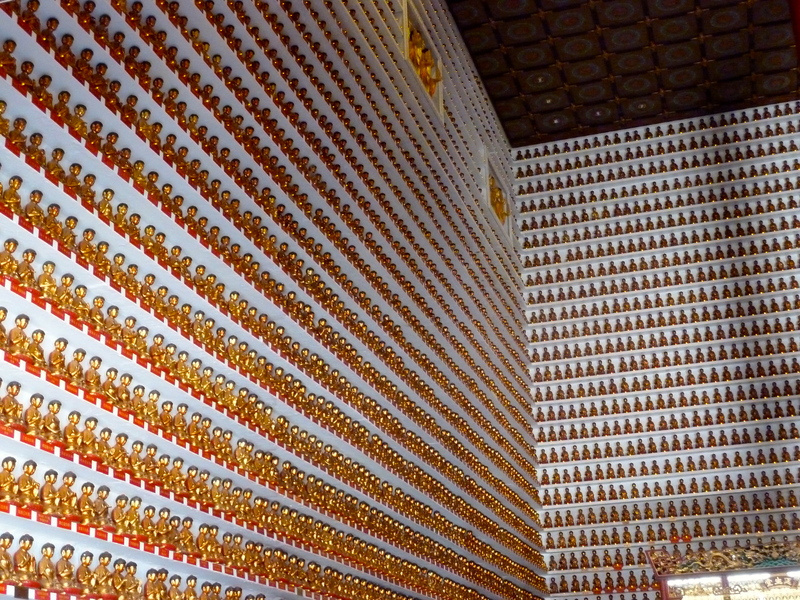 Over 13,000 Buddhas to be exact. Sorry, not sorry! I could not resist when the idea popped into my head this afternoon. I waited an entire day to come back to my computer and title this blog post! And thus continues my temple hopping adventures. My second stop was the Ten Thousand Buddhas Monastery. This attraction is a little unknown gem of Hong Kong. I actually thought it was more interesting than the Big Buddha that I saw with the student group on our first weekend. 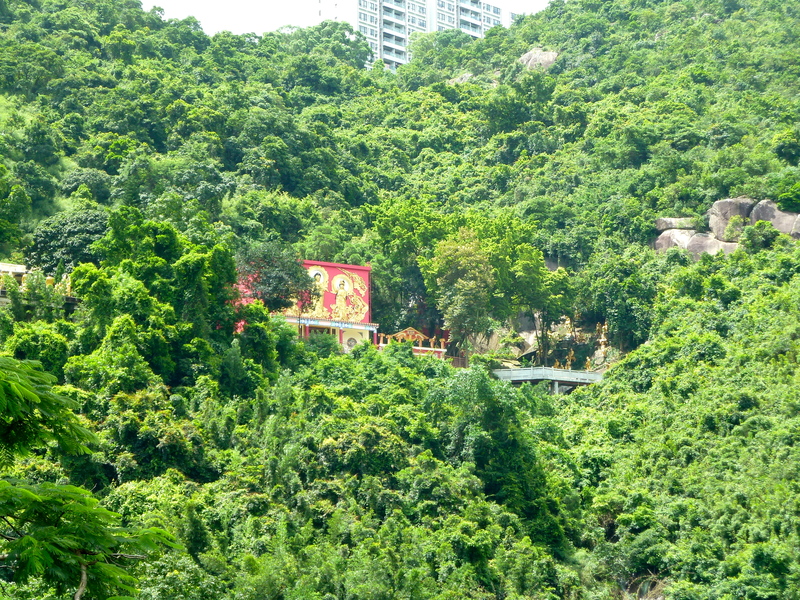 The Ten Thousand Buddhas Monastery is located in Sha Tin, New Territories. For some reason, day trips to NT are always the best days. 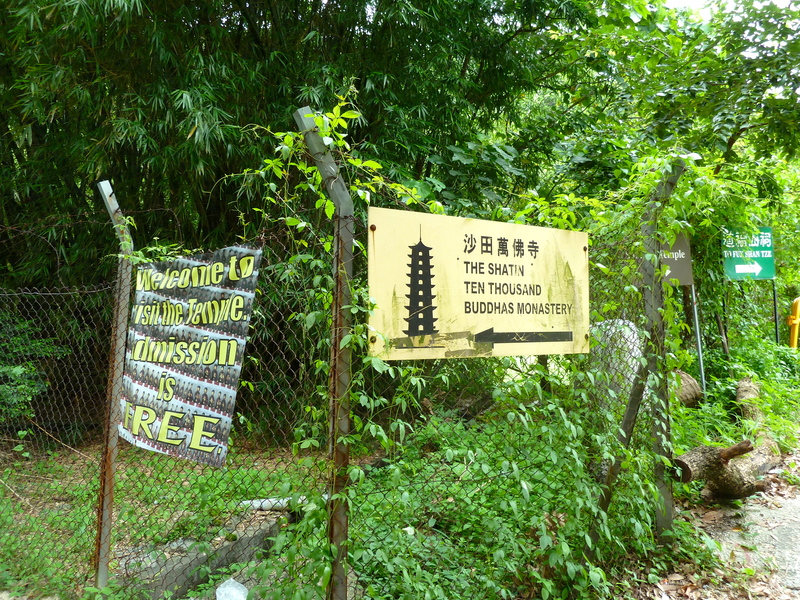 Last time I left the crowded hubs of Hong Kong Island and Kowloon I went to the Ping Shan Heritage Trails on the northwest side of NT. Sha Tin is on the northeast side. I think I really like the character of New Territories. There is still this sense of history and heritage while the rest of Hong Kong is heavily commercialized. While there are big projects in place to expand on the industrial development of New Territories, I hope it doesn’t lose its character in doing so. But back to the Buddhas. The Ten Thousand Buddhas Monastery was built by a devout Buddhist. There are over 10,000 Buddha statues in this complex that he and his disciples built over several years. The creator’s body is actually preserved in the Ten Thousand Buddhas Hall, which I did not realize until I did some research upon writing this post. Creepy much? From the bottom of the mountain it is possible to see the main temple. The entrance to the trail that leads to the top is a little difficult to find. I mistakenly climbed up the Po Fook Ancestral Halls and had to use my non-existing Cantonese skills to ask for directions. Eventually I found the entrance, which is hear the parking garage of the shopping center nearby. Right from the get go you’ll know you’re in the right place. Prepare your eyes for 10,000 Buddhas. The trail is a bit of a hike so I sat down for a little breather. Then I heard rustling in the trees and women screaming. Why, you may ask? Because these cute little monkeys. LOOK AT THE ONE WITH THE BAG OF CHIPS. I spent a good 10 minutes just watching these guys. So cute! So this is the Ten Thousand Buddhas temple. This is where the monastery’s creator is preserved. Pictures are not allowed but I managed to snap on from the outside. Tiny Buddha statues line the walls of the temple. I know the tone of this post is a bit more humorous than my usual blogs, but in all sincerity, being in this temple was a humbling experience. I felt like I could have cried (I didn’t, but I could’ve). Soft Buddhist chanting was played through a speaker system. Pictures were not allowed but they wouldn’t do it justice. When you are standing in there and just observing all the Buddha statues you begin to appreciate how much work and devotion was put into their creation. As I mentioned in my previous post, I am Catholic, but I’m not particularly religious. I am, however, spiritual. I believe that all religions originate from the same place and we all believe in the same thing. No matter which god/gods you worship, they are all the same universal soul, which is why Buddhism is so appealing to me. Religion has been the cause of many conflicts in the world, but religion has also been the source of beautiful human creations like this awe-inspiring temple. Something that I realized today was that religion is a uniquely human thing. Other animals don’t have philosophy. Devotion to religion has the power to bring out amazing human capacities, especially in the form of art. Here are some other sights along the trail, past the main temple. There are several other temples dedicated to other deities. The waterfall and fish and turtle pond were very scenic. By the time this is posted (I’m queuing my posts) it will probably be Monday night, which is my farewell dinner with my team. Wednesday is my last day of work. Thursday I have some administrative errands to take care of and I haven’t figured out if I want to do any last minute touristy things on Thursday but as of now, sitting in my hotel room, I am more than satisfied with my trip this summer. I did everything I wanted to do and more (which I need to write about. I’ll do it I swear!) There are no regrets (except for a few overpriced souvenirs) and no “should haves.” And Friday morning, I leave. Just like that. It’s a weird thought that the crazy life I’ve been living for the past 9 weeks will just automatically revert back to boring old University of Delaware student preparing for the upcoming year. I will probably never have an experience like this one again. I won’t forget it. I wouldn’t know what to do! Are they fortune sticks? I’m not big into the good luck stuff but it sounds like an interesting tradition to partake in, like some superstitions.